The Racers Group added two more trophies to its already massive collection over the weekend. 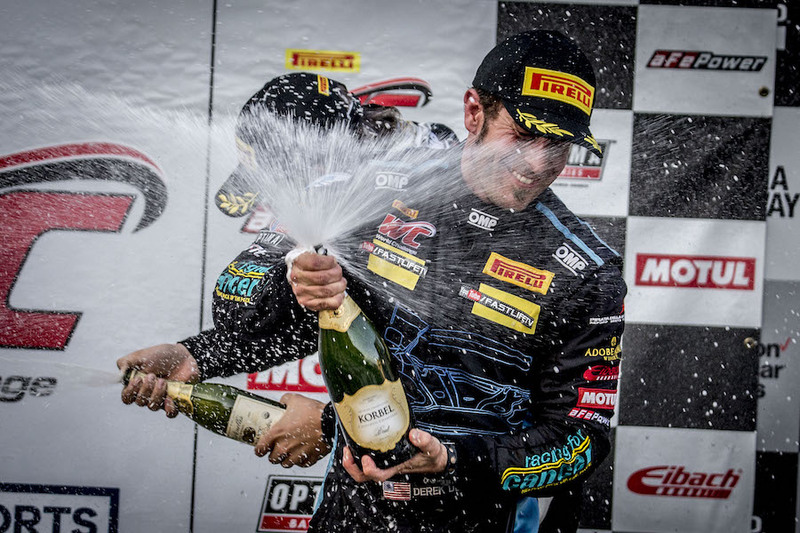 Derek DeBoer drove the 007 LaSalle Solutions | BRM Chronographes | Castrol | AutoLeadStar | Fastlife TV | TRG Aston Martin GT4 to his third straight Pirelli World Challenge victory on Saturday in a dominating performance in GTS Am competition at home track, Sonoma Raceway, after putting the car on pole earlier in the day. Sunday’s race had more twists and turns than the track, as DeBoer, despite a drive-through penalty, was able to recover and collect a solid second-place finish in the weekend’s second race. 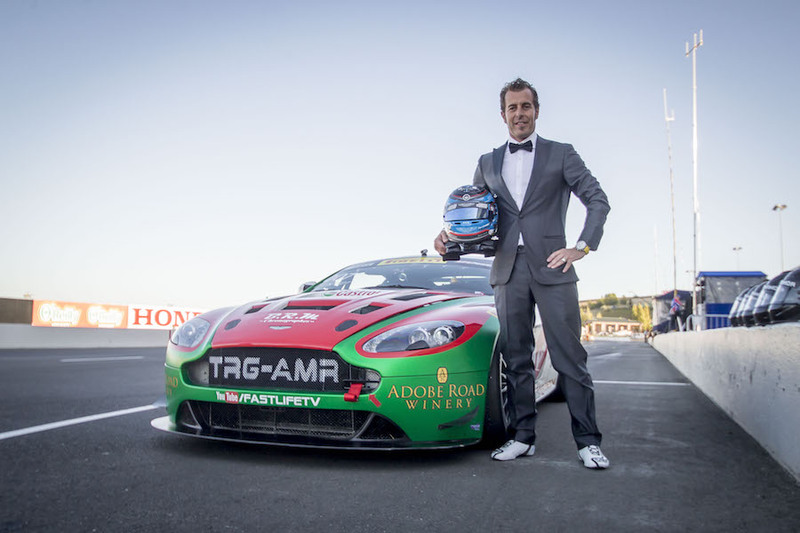 DeBoer has finished on the podium in every race he’s contested this season, with three wins, two second-places and a third place, and his results in Sonoma prove that he and the team’s Aston Martin Vantage are in it to win it among world-class drivers at any level. 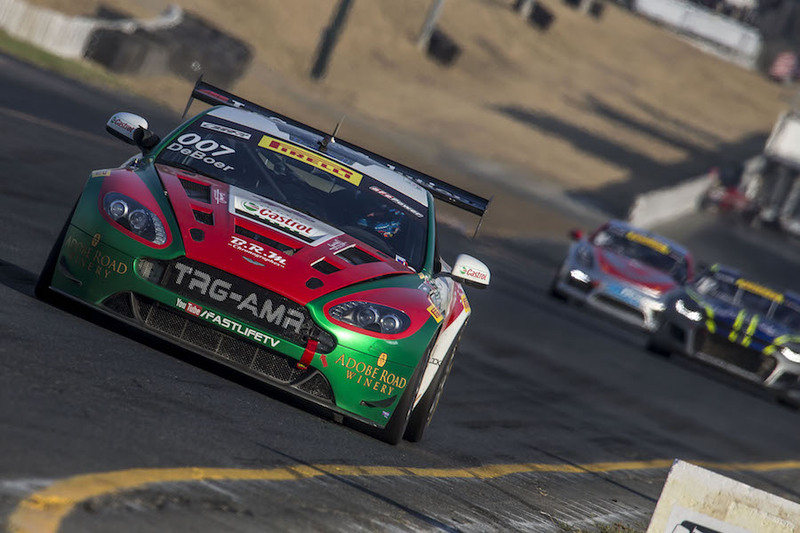 DeBoer had the pace on Saturday for an overall GTS-A podium and on Sunday, he put the pedal to the metal, turning in super competitive laps, as he made his way through the field from almost one lap behind after an early race penalty. 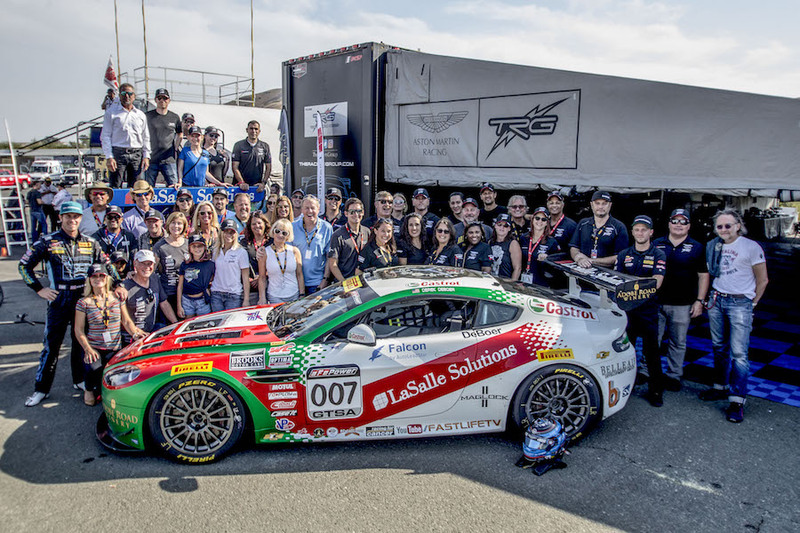 It was quite a show for the hometown fans, worldwide streaming audience and over 80 special VIP guests in the paddock and at the luxurious LaSalle Solutions executive hospitality tent overlooking one of the best vantage points on the entire track at turn 4. “What an amazing weekend on so many fronts,” says championship driver and TRG team CEO Kevin Buckler. “ We had a fantastic group of partners and friends here for the race and of course to witness Derek’s big victory on Saturday. 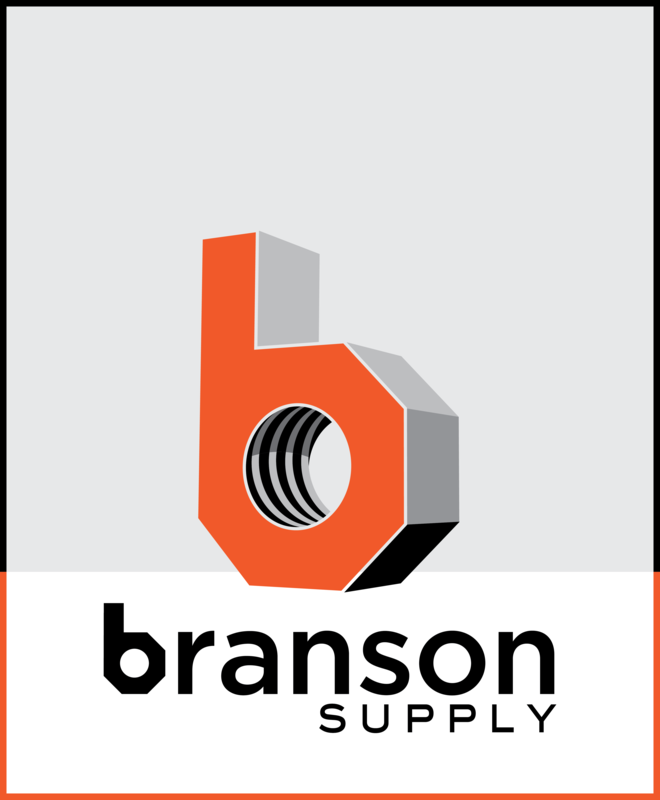 Our Friday night Pit Stop party was once again a big hit with nearly 150 people in attendance at our race shop and corporate offices. We are so happy to show our appreciation to the series, PIrelli and all the other competitors when they are visiting here at our home circuit. Saturday night was also a winner with a smaller more intimate get together and everybody getting fired up for the final race on Sunday. Derek was on his A game this weekend and we gave him a great car to boot so the combination was magic and he was just dominant. He really really drove well all weekend and showed what a professional he is. 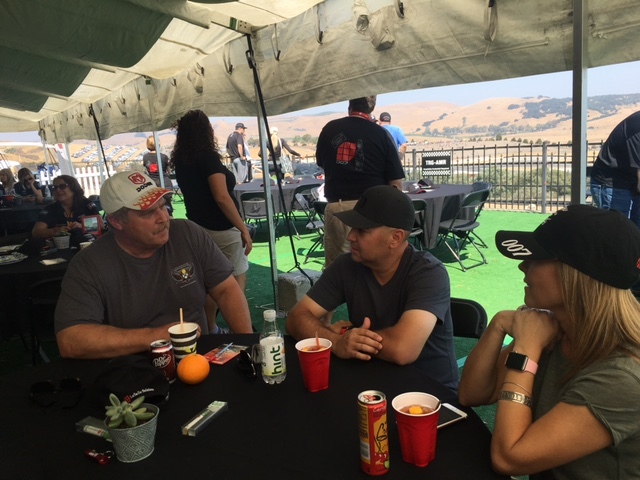 As usual, TRG activated around a series of important hospitality and relationship-building events during the Sonoma race weekend. First, the team’s annual party on Friday evening was a huge success, as TRG welcomed over 150 VIP guests, team owners, series executives and media to their Petaluma headquarters for an evening of Adobe Road Winery wines, camaraderie and business development opportunities celebrating Pirelli World Challenge, Pirelli and motorsports. 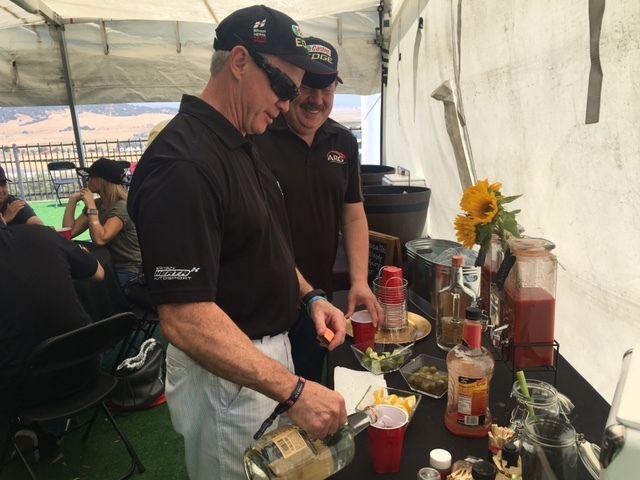 And throughout the weekend, guests had the opportunity to watch the incredible racing and make new business contacts — and enjoy Petaluma favorites Adobe Road wines, Lagunitas beer, great food and ambiance — in the LaSalle Solutions executive tent. TRG was also pleased to welcome Castrol North America to the paddock for the first time. Learn more about joining TRG at their next races by visiting theracersgroup.com/events. 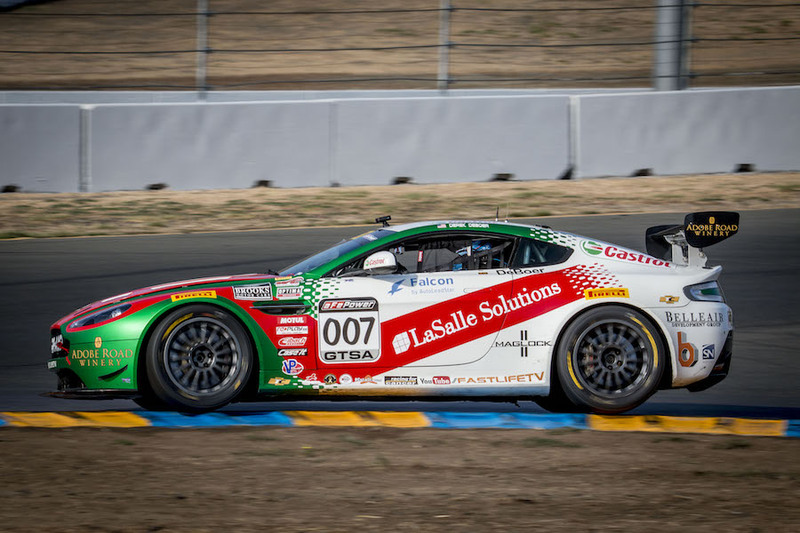 Next on the TRG schedule is the Continental Tire Monterey Grand Prix, September 21-24, as the team returns to IMSA competition with Greg Milczek, Brandon Davis, Craig Lyons and Kris Wilson behind the wheel of the team’s Aston Martin GT4 race cars. 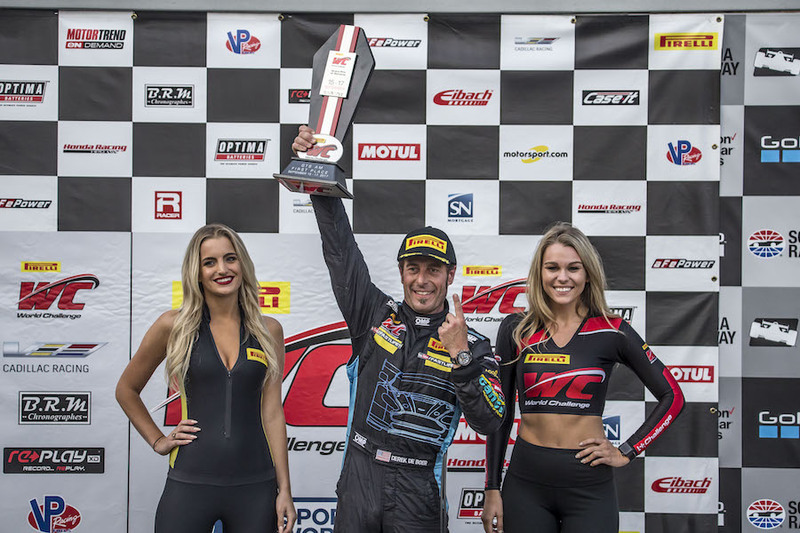 Watch the PWC GTS race broadcast on CBS Sports Network, premiering Wednesday, September 13 at 5 p.m. PDT.